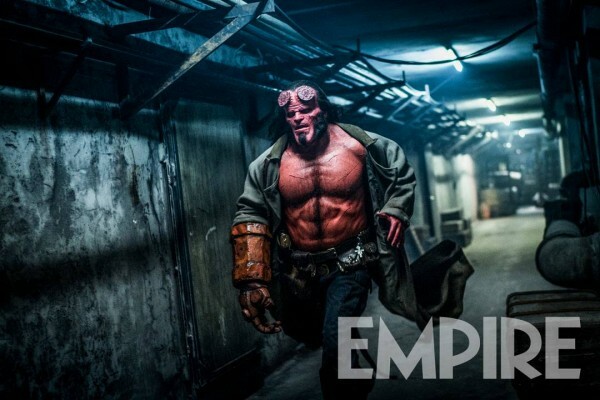 Lionsgate has released a new image from Neil Marshall’s upcoming reboot of Hellboy. Marshall tells Empire that they’re going back to the comic’s more horror-infused roots. Mike Mignola’s character comes to life this time by Stranger Things’ David Harbour. Deadwood star Ian McShane plays Hellboy’s adoptive father, Professor Broom (Trevor Bruttenholm), and has confessed that the portrayal is a bit of an homage to John Hurt, who portrayed professor Broom in the first two Hellboy films. 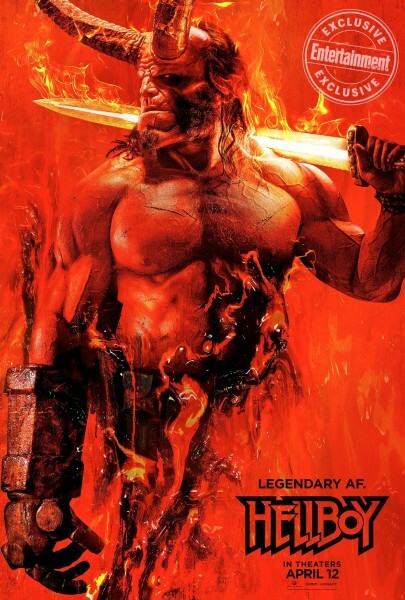 Hellboy is being directed by Marshall (Game of Thrones) with Sasha Lane (American Honey) as Alice Monaghan, Milla Jovovich (Resident Evil) as the Queen of Blood, Daniel Dae Kim (Hawaii Five-O) as Major Ben Daimio, Penelope Mitchell (The Vampire Diaries) as Ganeida, Sophie Okonedo (Hotel Rwanda) as Lady Hatton, Brian Gleeson (mother!, 28 Days Later) as Merlin, and Alistair Petrie (Rogue One: A Star Wars Story) as Lord Adam Glaren. Hellboy is set for release on April 12, 2019.